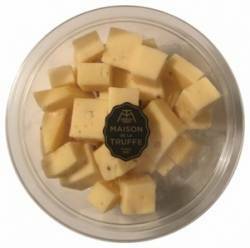 Truffle cheese is an aromatic cheese that has been flavoured or infused with truffles, a culinary fungus that grows underground and is highly valued by chefs and foodies for its earthy, intricate flavour. While original truffle cheese contains shavings of real truffles, there are also versions that have been infused with truffle oil or added flavourings. Mainly sold as rare delicacies in specialist food stores and by cheesemongers, truffle cheese has started to add flavour to supermarkets’ crowded cheese shelves. Though still niche, accounting for just 1% of total cheese launches, the number of truffle cheese launches in Europe doubled between 2012 and 2017, according to Mintel Global New Products Database (GNPD). 1 in 5 European truffle cheese launches between 2015-17 were in Germany. Truffle cheese specialties from Southern and Eastern Europe enjoy popularity across borders. Overall, however, Germany features the highest share of new truffle cheese launches in Europe, accounting for one in five total introductions between 2015 and 2017. While Europe is leading global launch activity, truffle cheese is also emerging in other regions, including North and Latin America. Any cheese type can be flavoured or infused with truffles. There are several species of truffles, categorized according to colour (black or white) and the harvesting season (winter or summer). While black truffles are most commonly found, white truffles are rarer and considerably more expensive. Yet, over the past couple of years, white truffle has started to emerge as a flavouring ingredient in truffle cheese launches both in Europe and North America. Beyond the cheese shelf, truffle cheese is increasingly featured as a premium note in a variety of sides, namely pasta-, potato- and rice-based meals. Truffle has also emerged as a flavour in a number of cheese-based snacking dips positioned for special occasions. Australia-based Mediterranean dips company Chris’ Dips has launched a Goats Cheese & Black Truffle Dip as part of its premium Heritage Range, which was designed to “complement great wines, craft beers and seasonal produce”. Truffles have moved into the culinary spotlight, adding a subtle but complex aromatic note to upmarket dishes in restaurants, while also making inroads in the retail sector. Rare and versatile, truffles as ingredients add a layer of luxury to a variety of foods and meals. With cheese brands increasingly looking to trigger consumers’ senses with more intense taste experiences, truffles provide a perfect match for premium offerings across cheese types as well as cheese-based dips and meals. 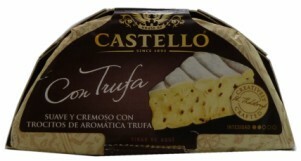 Launched in Spain, Castello Queso Moho Blanco con Trufa (White Mouldy Cheese with Truffle) is a soft and creamy cheese containing 2% black summer truffles. 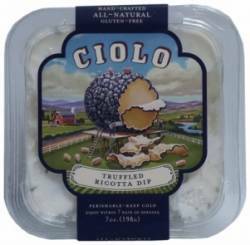 Ciolo Truffled Ricotta Dip is an all-natural dip described as a creamy spread with a great taste that will elevate a classic cheese and charcuterie tray. 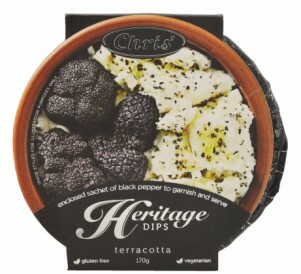 Chris' Heritage Dips Goats Cheese & Black Truffle is ready to eat and contains a sachet of black pepper to garnish and serve. 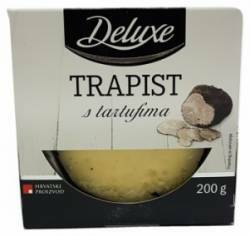 Deluxe Trapist s Tartufima (Trappist with Truffles) is a semi-hard cheese containing 3% black truffles. La Grande Épicerie de Paris Maison de la Truffe Gouda des Cocktail (Cocktail Gouda Cheese Cubes) is a French snack product containing pieces of black truffle. 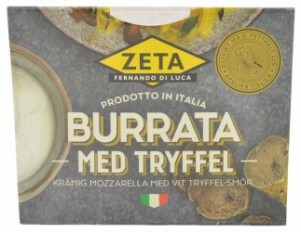 Zeta Fernando di Luca Burrata med Tryffel (Burrata Cheese with Truffle) is a creamy mozzarella with white truffle butter. 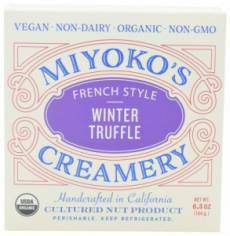 Miyoko's Creamery French Style Winter Truffle Cultured Nut Product is described as a sumptuously rich and creamy, stretchy and gooey, sharp and tangy, smoky and fresh cheese alternative with woody, earthy flavours and full of umami in a luxuriously creamy base.